Irish MMA superstar Conor McGregor has announced his retirement on social media. In what comes as a shocking announcement, former Ultimate Fighting Championship (UFC) lightweight champion Conor McGregor has announced retirement from the Mixed Martial Arts (MMA) on Tuesday. The Irish international took to his social media handle to announce the decision. 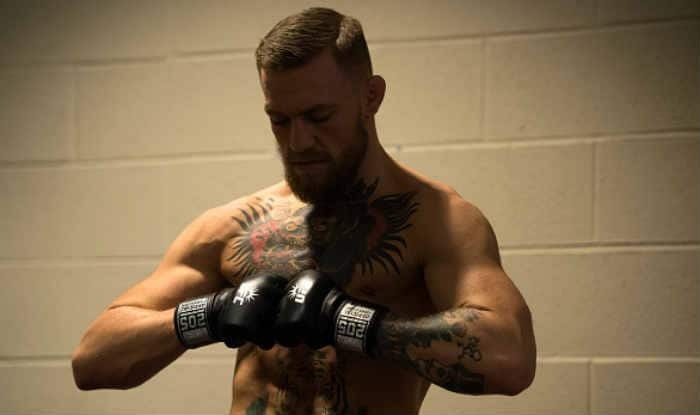 The 30-year-old wrote on his Twitter: “Hey guys quick announcement, I’ve decided to retire from the sport formally known as ‘Mixed Martial Art’ today,” wrote McGregor, 30, on the social media platform Tuesday. Conor McGregor – A man that is all about his fans. Thank you, Conor! Nicknamed ‘The Notorious’, McGregor is one of the most decorated and popular MMA stars of recent times. His flamboyant attitude and charisma inside the oval are what garnered him a major fan following base across the world. He was often labeled as the badass of the MMA industry and had a reputation of creating havoc with speech and controversies. Mcgregor is currently eighth on the ranking in the UFC pound-for-pound list. With a commendable record of 21 wins and 4 losses, the Dublin bases superstar has won UFC belts in two different divisions. The decision comes as a surprise because just recently, McGregor appeared in the popular American talk show, ‘The Tonight Show With Jimmy Fallon’, where he revealed that he was negotiating a contract for an upcoming fight. “My next fight, we’re in talks for July. We’ll see what happens. A lot of politics going on. The fight game is a mad game but as I said again, to my fans I am in shape and I am ready,”: McGregor said in the show. This decision will be a blow for UFC despite McGregor’s controversial antics as all his matches always garnered a lot of traction. His last fight was against the Russian fighter Khabib Nurmagomedov, which ended in the fourth round. Even his last match was marred with drama as the match concluded with an ugly breakdown between his team and Khabib’s team. McGregor, for all his ostentatiousness and style, will surely go down one of the greatest fighters to have stepped inside the oval.